Douglas Foo, founder and executive chairman of Sakae Holdings; and co-chairperson of TAFEP, uncovers the HR learning in growing from a start-up to an established brand, in conversation with Jerene Ang. From a start-up to Singapore’s leading kaiten (conveyer belt) sushi chain, how has your journey with Sakae been? Besides working towards building 30,000 stores in five continents, we want to be a brand synonymous with Sushi, and offer healthy, fresh and quality Japanese food at value-for-money prices. What sets us apart from the competition is our innovative culture, which propels us to the next level. We have always been the first in the market to deliver new dining experiences for our customers, and this continuous pursuit of excellence allows our team to reinvent, innovate and be creative. What is the biggest people challenges you faced while scaling up operations? As Sakae continues to grow, it is important that we continue to be innovative. Innovation isn’t just about technology. We need to build 30, 000 units all around the world. If we need 10 people in each shop, we will need to recruit a total of about 300, 000 employees. Where are we going to get these employees? Investing in human capital is among Sakae’s core strategies as it offers skills training, staff benefits and career opportunities. Sakae currently has more than 2,000 employees across age groups under its payroll, and also works closely with a number of schools to tap future talent. Training programmes and scholarships are offered to students who aspire to join the Sakae family. Being in the food business is not just about providing quality food, it’s about understanding people’s needs. We want Sakae to be a company with a soul, and a heart. Any people-related advice for start-ups to achieve success like yours? They need to be prudent and realistic. All successful businesses started with a simple dream or idea that was well executed, and realistically grown. If we need 10 people in each shop, we will need to recruit a total of about 300, 000 employees. Where are we going to get these employees? At Sakae, we have a strong emphasis on creating a conducive work environment through progressive HR practices. Start-ups have to understand that as Singapore’s talent pool becomes more diverse, fair and progressive employment practices, such as robust appraisal systems and age management, are no longer merely good-to-have, they are essential for any organisation’s long term competitiveness. Only by hiring and rewarding employees based on their abilities and skills will they respect your leadership and give their best at work. I also always remind aspiring entrepreneurs that failure is part of success. Abraham Lincoln said: “Always bear in mind that your own resolution to succeed is more important than any one thing.” It is with this resolution that Sakae has gotten to where it is today, and continues to expand and evolve. As the co-chairperson of the Tripartite Alliance for Fair and Progressive Employment Practices (TAFEP), what is your view of HR? HR is an incredibly important business function beyond just recruitment and processing payroll. HR is the crucial link between management and the company’s workforce, and they are often the champions of continual professional development. Besides, the HR function serves as a valuable feedback channel for management through which they can glean insights into staff morale and react accordingly. Fair and progressive HR policies ensure firms attract and retain the best talent, something crucial for SMEs as they strive to remain competitive – apart from gaining access to a wider talent pool, enhancing productivity and staff retention, increasing customer satisfaction and bolstering corporate reputation. I would like to challenge HR practitioners to go beyond transactional processes, and take on a greater role in their organisations’ business strategies. I strongly believe businesses, especially start-ups, could benefit if greater consideration is given to how business strategy affects the workforce. HR needs to be given a voice in the board room, and a hand to help shape the organisation’s future. In particular, HR must ensure employment policies support the organisation’s values. There must be clear alignment between what leaders commit to and what the line managers and HR do in their day-to-day. More importantly, management and HR must have open minds about adopting new employment practices or reviewing current ones. Do you see HR leaders making it to a CEO level? I believe anyone with the right skill sets, core values and attitude could become a CEO. When I first started Sakae Sushi, I knew nothing about running a restaurant, and I credit our success to many factors, including values that have being instilled in me since childhood which have guided my career. Aside from that, studies have shown that over the past 15 years, there has been a dramatic change in the roles HR people play. Today, CHROs often report directly to the CEO, serve as their key adviser, and make frequent presentations to the board. These studies have also uncovered that many CHROs behave, think, function, and deal with pressure and risk-taking similar to CEOs. 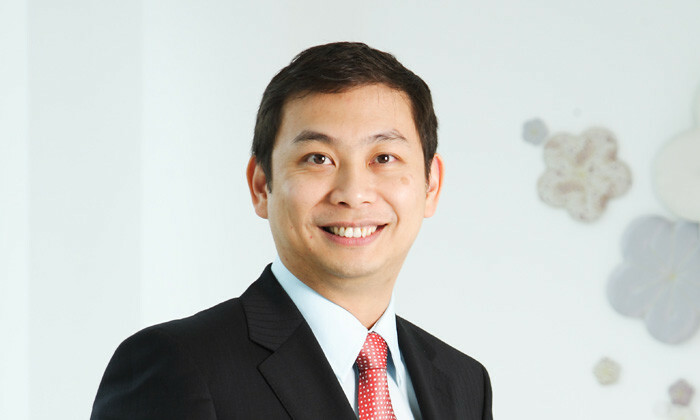 Want to learn more from Sakae Holdings founder, Douglas Foo? Head over to the full interview. Nurturing your high-potentials: What can you do to help them grow? Too few stakeholders, and you risk disengagement. Too many, and you risk the high-potential being pulled in too many directions. T.. Peer into the crystal ball and see what the Year of the Fire Rooster means for the career and finance of the 12 Chinese zodiac sig..